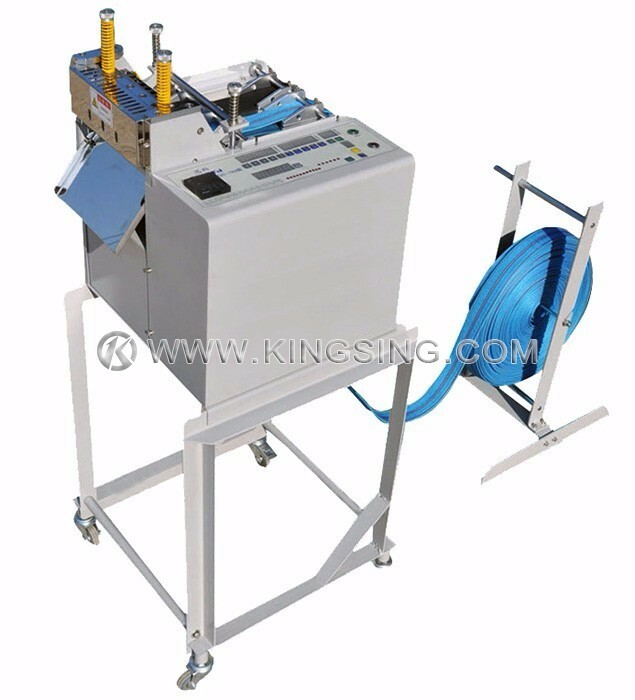 The heavy duty heat cutting machine is especially designed for cutting heavy webbings and ribbons, such as sling webbing, tubular webbing, nylon tape, safety belt, bag band etc. 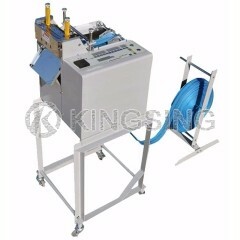 Hot knife applying time control feature allows the machine cuts even very heavy webbing materials. Because hot knife melts the end of tape, cutting is sealed neatly without fraying, and because bottom blade is fixed and only upper blade moves up & down, durability is very long. Applications: Webbing Belt, Nonwoven Tape, Nylon Tape, Leather, Safety Belt, etc.